Thank you for being patient while I've been getting things back to normal after the holidays! The winner of the Cards for You giveaway is Rebecca from Searching Out Simple! Do you remember forever ago when I had my last party? Well here are a few of my favorites. Wallet tutorial from Eye Spy DIY. 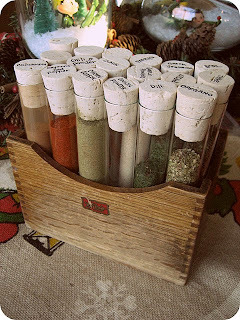 Test tube spice rack from Dream Book Designs. Pom pom bib necklace from Little Miss Momma. 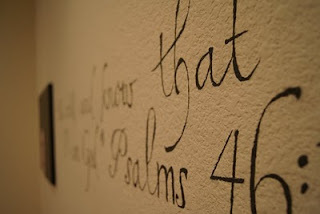 Bible verse wall art rom Lifey as a DIY Wifey. Handmade tea towels from The Path Less Traveled Market. Winter wreath from Homemade Ginger. I've been waiting all year to see what you've been working on (get it, all year and this is the first party of January?)! So link up! Thanks so much for featuring my wallet tutorial! And thanks so much for hosting, you are amazing! oh i love the pom pom bib necklace by LMM!! Thanks so much for this opportunity! I'm having a blog hop today, maybe you would like to join? Eek! Thanks so much! =] I hope to have something to share next Saturday. I love that necklace! I have seen that on a few other blogs lately too. I definitely want to give that a try. i LOVE that necklace!! and the fact the wallet has a rosette button, too cute!!! YAY, thank you soooo much for including LMM! You ROCK! and I just adore your blog!